CTech – The Boycott, Divestment, and Sanctions movement (BDS) has taken particular aim at Israel’s tourism industry. Tourism accounts for about 11 percent of global GDP and 350 million jobs worldwide — more than 10 percent of employment on the planet. 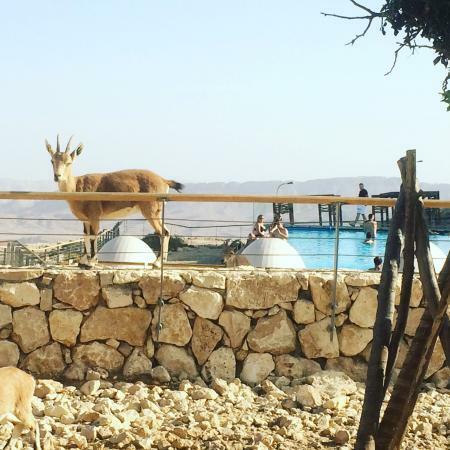 In Israel, tourism is more than just sun, seashore, and spirituality; it infused Israel’s economy with $6 billion in 2018. Tourism is also the geopolitical inhalant that allows Israel to sustain its diplomatic and sovereign niche in the world. At times, the sheer volume can overwhelm capacity. One tourism insider indicates that a single American company, not of Jewish ownership, will be bringing 6,000 individuals to Israel in the fall of 2019 as part of a corporate incentive program. That one program is so large that no single city can host it. The company’s travelers are being split between Tel Aviv and Jerusalem. Industry experts warn that Israel needs as many as 15,000 hotel rooms to keep up with the current growth demand. This is especially true in the north, where Christian pilgrims want to walk in the footsteps of Jesus of Nazareth and dip into the Sea of Galilee. Hotel operators complain it can take five to 10 years to build a hotel due to Israeli bureaucracy. Translation: Rooms are getting scarcer and more expensive. This trend will only intensify, as Israel is seeking to double its current levels to 10 million tourists annually, competing with other Mediterranean basin nations, such as Greece, which attract more than 30 million annually, and Spain, which enjoys more than 80 million per year. Although terms such as “luxury” have been bandied about by Israeli hoteliers for some time, the apex of true world-class luxury in Israel is arguably now occupied by Hilton International — one of Israel’s most venerated hotel names. The Tel Aviv Hilton, dominating the north of the city in its own seaside compound, has long hosted glitterati and accomplished world travelers fed by Hilton’s worldwide reservation system. For years, the Tel Aviv Hilton gave stiff competition to the Dan Hotel, which has always boasted a lobby graced by diplomats and statesmen. Now, the Tel Aviv Hilton has soared ahead by creating new peak luxury quarters within its existing hotel. 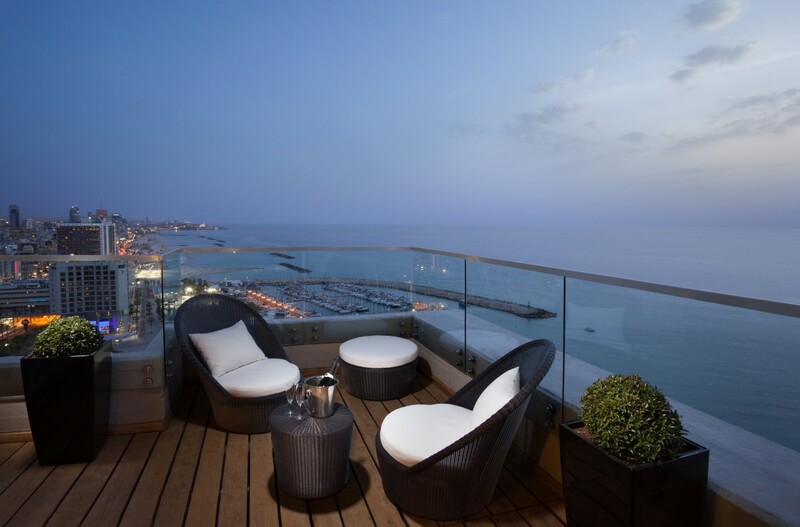 The top floors of the hotel have been set aside as “the Vista at Tel Aviv Hilton,” featuring concierge check-in, expansive unobstructed floor-to-ceiling room views of the coast and a club floor with overwhelming gourmet food service. The Vista is unmistakably the platinum address in Tel Aviv for seasoned travelers and expense account-endowed businessmen, who stream in from across the globe. While more costly than the regular Hilton, the unending gastronomical offerings of the club floor are worth it for food value alone. 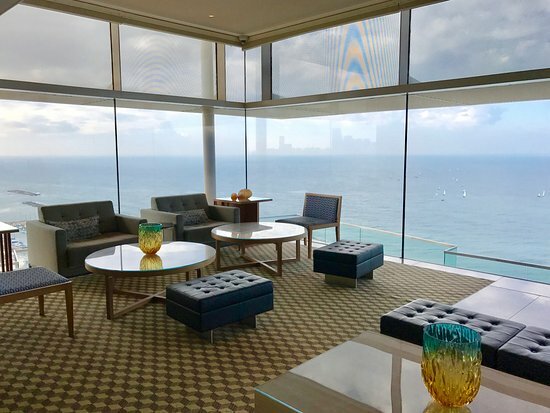 What’s more, the Vista club floor is ringed by an unparalleled outdoor balcony where guests can sip espresso and munch on savories as eagle-level wind currents swirl about. Outclassing even the Vista is arguably Israel’s No. 1 luxury hotel, the Waldorf-Astoria, also managed by Hilton. The former Palace Hotel was built by the Grand Mufti of Jerusalem, Haj Amin al-Husseini, to outclass the King David. The Palace opened in 1929, but closed in 1935. 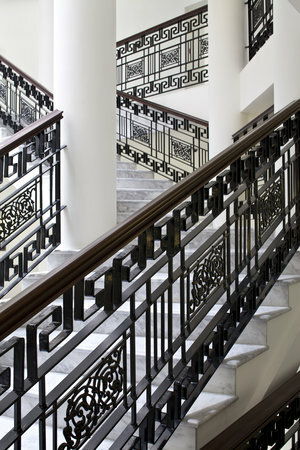 The British converted it to drab government offices; it even hosted the Peel Commission. The Haganah bugged the rooms to monitor progress. In 2005, the disused structure was purchased, renovated for a reported sum of $150 million, and imbued with inspiring Moroccan, Arab, and Romanesque architectonic motifs. 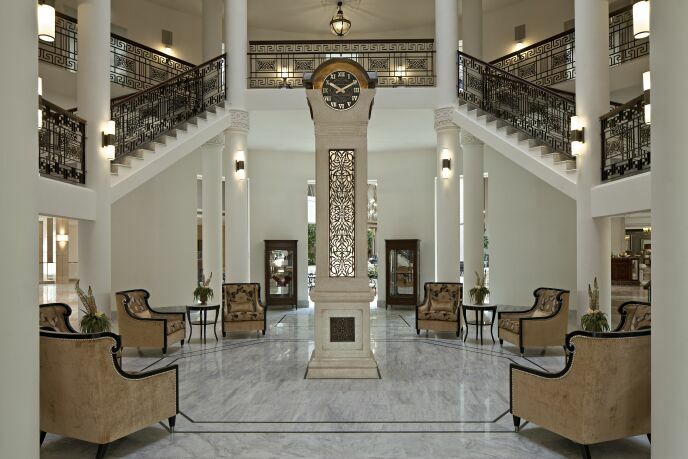 These include a breathtaking atrium lobby dominated by a majestic clock tower emblazoned with Roman, Hebrew, and European numerals. Every angle of every view of the interior reveals a different visual sweep. Hilton broke with tradition and hired outside the native Israeli hotel industry, bringing in its finest staffers from the great hotels of the world to augment its local force. Located just steps from the Mamilla Mall and ensconced in its own entry street, the Waldorf is centrally located. Style and joie de vivre almost hypnotically envelop guests with an urge to return and make the Waldorf their Jerusalem address. New luxurious hotels have appeared from Eilat to Acre in the north. 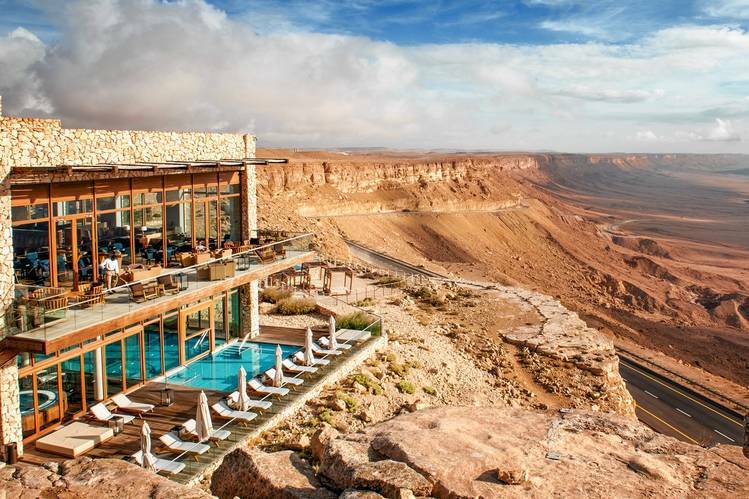 But none is perhaps more compelling than the Beresheet in the Negev town of Mitzpe Ramon, sprawling at the edge of the Ramon Crater (Makhtesh Ramon). The Beresheet single-handedly made obsolete the notion that Negev tourism is ipso facto a tent or hostel experience. Booked far in advance at a premium price, it offers 111 private villas, 39 with private pools, sprinkled across 12.5 desert acres. Visitors are carted to their villas up steep stone runways, where wild Nubian ibexes saunter nearby in comfort. The Beresheet’s architectural triumph is emblematic of Israel’s determination to meet its astonishing tourism growth, employing designers’ most creative and environmental assets throughout the nation. By the end of this decade, thousands of additional luxury offerings will catapult the Jewish state to the pinnacle of world destinations. The torch of tourism ignites peace. The greater Israel’s tourism triumph, the more irresistible is the concept of peace with its neighbors. Edwin Black is the author of IBM and the Holocaust and a syndicated columnist who travels extensively, frequently reviewing the hotels he stays in. He personally and independently paid for all aspects of travel mentioned in this series. He can be found at www.edwinblack.com.